Degree coffee is certainly not the only thing that Kumbakonam is famous for, we realised while researching for our recent trip to this temple town. Apparently, the town also happens to be one of the leading producers of betel leaves and areca nuts. In fact, the betel leaves produced in Kumbakonam are believed to be among the best in the world, as far as quality is concerned. Armed with this knowledge, we were well prepared to keep an eye out for local paanwallahs in Kumbakonam, so we could taste a couple of these famed betel leaves. We had, sort of, expected these betel leaves to be all over Kumbakonam, but they were so not! We came across just a few shops selling them, that too only in the local flower-fruit-vegetable market. When we finally got our hands on a couple of these betel leaves, we were surprised at just how fresh and strong in taste they were. They filled our mouths with a spicy juice that just isn’t present in the betel leaves we get in big cities like, say, Madras or Bangalore. The Kumbakonam vettalai is, definitely, different. Neither the husband nor I are betel leaf connoisseurs, and hence, unable to elaborate more on this. Do try out some of the famed vettalai whenever you are in Kumbakonam! I hope you have been reading and enjoying my other posts about Kumbakonam! If you haven’t, here are the links for you. 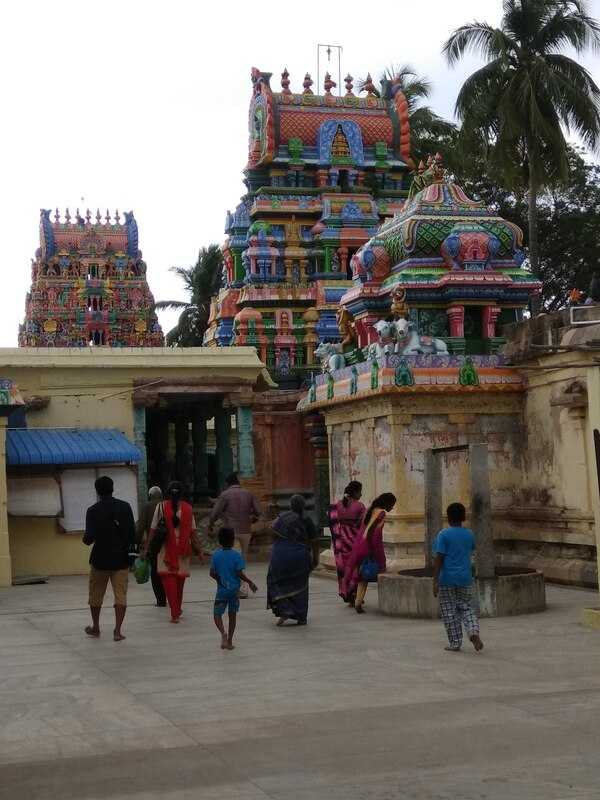 The Garbharakshambigai temple, about 20 km away from Kumbakonam, was one of our destinations on the recent trip we undertook. Thousands flock to this temple, located on the banks of the river Vettar, in the village of Thirukkarugavur, in the Tanjore district of Tamil Nadu. Most of these devotees seek the blessings of Garbharakshambigai (‘the Mother who protects wombs’ in Tamil) one of the presiding deities here. Walking around inside the Garbharakshambigai Temple.. It is believed that Garbharakshambigai, one of the incarnations of Goddess Parvati, holds the power to grant pregnancy to those of her devotees who seek it. She is also believed to have the ability to guard the foetuses of her devotees, and protect them from anomalies, ill health, miscarriage, and other woes. There are literally thousands of women who can prove this point – they will tell you of how they begot children because of their prayers to Goddess Garbharakshambigai, reciting the mantra meant for her, and partaking of the ghee distributed for the benefit of pregnant women at this temple. 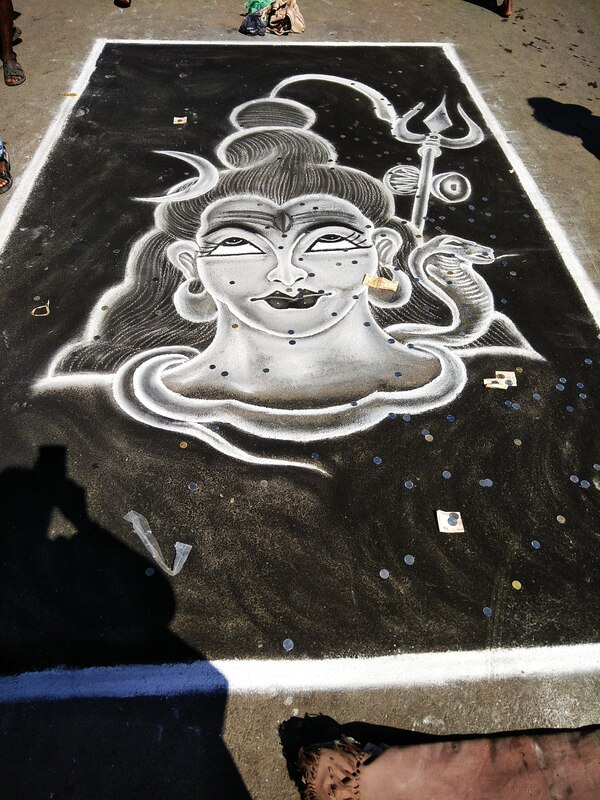 The Goddess is also believed to aid her devotees with a relatively easier delivery. 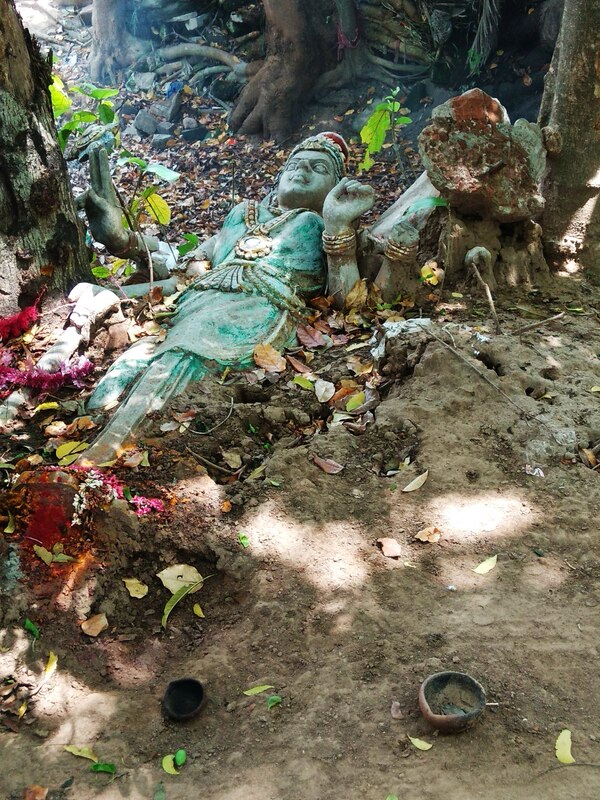 The other presiding deity at this temple, Mullaivananthar (Lord of the jasmine garden), is an avatar of Lord Shiva, husband of Goddess Parvati. Offering one’s prayers to the Lord is believed to cure one of any chronic disease. As per legend, the origin of the temple has to do with a couple – the husband was called Nidhruva and the wife, Vedikai. The couple, whose job was to serve two revered sages in a place called Mullai Vanam (jasmine garden), was childless. At the advice of the sages, the couple prayed to Goddess Parvati, and Vedikai was soon blessed with pregnancy. One day, during the course of her pregnancy, Vedikai was extremely tired and was resting, when another revered sage called Urdhvapada visited their abode. Vedikai was alone then and, in her state of tiredness, failed to hear the sage call out to her. Urdhvapada felt terribly insulted by this and, without knowing about Vedikai’s pregnancy, cursed her to suffer with a dreadful disease. The disease soon inflicted Vedikai, and began to eat away at the foetus in her womb, too, devastating her. Vedikai once again prayed to Goddess Parvati, who appeared before her and promised to protect her foetus. The Goddess then placed the foetus in a pot and safeguarded it till the term of Vedikai’s pregnancy ended, and the couple received a male child, whom they went on to name Naidhuruvan. Goddess Parvati continued to extend her grace towards Vedikai by sending Kamadhenu, the divine cow, to provide milk to Naidhuruvan. Extremely pleased by these benevolent acts of the Goddess, Vedikai and the other sages prayed to her, requesting her to stay back with them. And so she did. 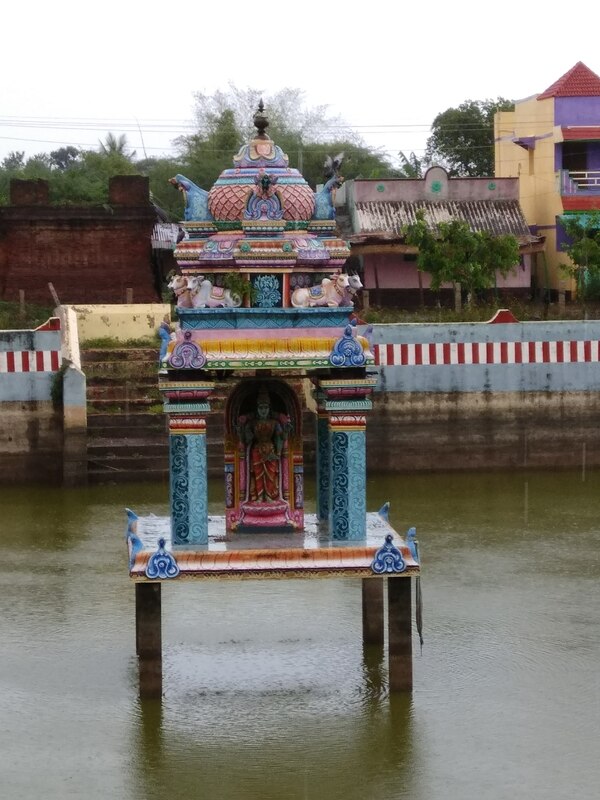 Later, a temple was built to commemorate the Goddess, and the place (that was earlier called Mullai Vanam) came to be known as Thirukarukavur (‘village of the temple deity who saves wombs’, in Tamil). Since then, it is believed, the Goddess, in the form of Garbharakshambigai, has been safeguarding the interests of pregnant women. When Kamadhenu descended on earth to offer her milk to the child, a spring of water arose where her hooves were planted, right in front of the temple. A tank was later built to enclose the spring, which came to be called Kshreeakundam. This tank exists at the very same spot even today. No one is sure about exactly how old this temple is, but it does find mention in a 7th Century Tamil work of literature called Tevaram. Conception and pregnancy was a tough game for the husband and me, for a variety of reasons. Every moment of my trying for conception and then, during my pregnancy with Bubboo, had tension and worry underlying it. My mother, having heard of the many miracles of Garbharakshambigai, would pray every day for the baby in my womb. I was too scared then to not religiously consume the ghee that my mother managed to get for me from the temple, via some relatives. Coincidence or not, our darling Bubboo came into this world hale and hearty. So, on our recent trip to Kumbakonam, we absolutely had to visit this temple with Bubboo, and pay our respects to the Mother. We hired a cab to take us from Kumbakonam (where we were staying) to the temple, and back. This turned out to be a good decision, because there are no great places to stay or eat around the temple. Roads en route were good, and we had a comfortable and safe ride. The temple is not too big, but not too small either. It is beautiful and serene, filling you up with a sense of peace the moment you enter. We had a nice and relaxed darshanam, albeit a tad emotional one, recalling the huge turmoil we went through before Bubboo was born. It was good to find the temple retaining a rustic, old-world charm and a total lack of commercialisation, in spite of it being so popular. The nearest railway station to Thirukkarugavur is Papanasam, while Trichy is the nearest airport. Before you visit, do check on the pooja timings and proceedure. Kumbakonam and Thanjavur are relatively big towns, from which travel to this temple by road is easier. Accomodation and good food is easily available at both places, as are cabs for hire. ATM facilities might not be available at Thirukkarugavur, near the temple, so make sure you are carrying enough cash with you when you travel. If you do pray at the temple for a child, it is advisable to return here with child, to thank the Goddess. I hope you have been reading my other posts about our visit to Kumbakonam, and enjoying them too. In case you haven’t, here you go! When you are travelling, you sometimes walk into moments that touch something deep within you. You instinctively know you have got to lift up your camera, and commit the frame in front of you to eternity. For instance, this picture of this man and his friend, the elephant, both of whom we met at the Adi Kumbeswarar temple in Kumbakonam. Note how I don’t use the word ‘mahout’ here, but ‘friend’. These two are, really and truly, good friends. The elephant, a baby actually, was handing out blessings to passersby, and accepting gifts of money or bananas in return. We watched as it placed its trunk, gently, on people’s heads. The husband wanted the bub to have the experience of meeting an elephant up close and personal, but I resisted. I was super scared to do so. The daughter was neutral, but I knew, deep within, that the experience would only enrich her. We held back for the longest ever time, just watching the elephant and the man do their jobs. We noticed how the elephant was unchained, dangerous probably, but no aura of fear emanated from it. Instead, it radiated peace and joy. It was, in fact, dancing, shaking one leg after the other, the bells around his neck jangling merrily. The man kept up a steady stream of chatter with the elephant, his tone sweet and friendly, and it seemed to talk back to him, equally lovingly. We watched as the man fed the elephant a couple of bananas, and then went on to peel and eat one himself. He proceeded to take a few sips of the filter coffee that lay beside him, then got up and asked the elephant to open his mouth. The elephant obliged, and the man poured the rest of the coffee into little one’s mouth. It slurped all of it up, happily. Meanwhile, passersby continued to visit the elephant, bearing little gifts for them. We watched the gentle manner the elephant had in blessing them. We have had some rather harsh whacks from temple elephants elsewhere, so I know just how gentle this one was. By then, I was okay. I had observed enough, relaxed enough. I was ready, poised with my camera, for the husband and the bub to go get their blessings from the jumbo. And they did, very, very gently. The bub absolutely loved the experience, and still talks about it excitedly. I am glad I let go of my own fears, and let her have the experience. I’m not here to talk about animal rights or the injustices meted out to temple elephants. All I can talk about here is the beautiful bonding between these two friends that I witnessed, and how I conquered my fears for the bub. I understand I might be judged too, for letting my daughter go through a seemingly dangerous experience, but then, isn’t parenting all about letting go and not allowing our fears to interfere with our children realising their dreams? Parenting is also, I believe, about following your gut instinct, letting your heart decide what feels right at the moment. That is just what I did. Walking inside the famed Adi Kumbeswara temple in Kumbakonam, the stone floor feeling cool against our bare feet, we are filled with a mix of awe and reverence. This Shiva temple has been in existence since the 7th century, the times of the Cholas, and is believed to be the inspiration behind the city’s name (Kumbakonam). Being armed with this bit of information from the Internet, how could we not feel like we were walking through a very, very sacred and special place? We pay our respects to the main deity, admire the temple elephant, and head to Sri Mangalambiga Vilas, the little eatery that we have read a whole lot about and cannot wait to try out. It is, after all, an eatery that is over a century old, still going strong. Sri Mangalambiga Vilas looks ancient, non-descript, from the outside. It looks like an integral part of the temple, as if it has existed for as long as the temple has. A signboard outside the eatery proclaims ‘Since 1914’, but patrons believe it is even older than that. 1914 is only the ‘recorded’ date of existence. We walk in and are instantly charmed by the old-world interior. The inside of the eatery today looks pretty much the same as it did when it started, I suppose. A few ancient tables and chairs, peeling paint on the walls, a painted-on menu, a billing clerk’s little table near the entrance, a little cashier’s desk, elderly service staff clad in shirts and veshtis – all of these elements combine to give us the feeling of a place suspended in time. The eatery – popularly called ‘Sannadhi Kadai‘ or ‘Koil Kadai‘ aka ‘the shop in the temple’ – is well known for the delicious all-vegetarian fare that it serves. I hear there is a plantain-leaf ‘full meals’ in the afternoon, and traditional South Indian tiffin items in the mornings and evenings. There is also, of course, the famous South Indian filter coffee. It is close to 7.30 PM when we visit, and only tiffin items are up for grabs. So, we decide to make an early dinner of these snacks. I ask for a plain dosa to be served with vada curry, while the husband orders adai avial, that not-so-famous-outside-of-Tamilnadu combination. We are asked if we want medu vadais to go with that, and we nod our heads in the affirmative. The food arrives at our table almost immediately, with a lot of politeness and respect. The plain dosa is neither too crisp nor too soggy, just perfect. It tastes homely, exactly like the dosas we make at home. The chutney and sambar served with are very simple, tasting like home, too. The medu vadai isn’t dripping with oil, as is common in hotels, but nice and homely. The vada curry, however, is another story entirely. It tastes delish, but it is literally swimming in oil. It is way too spicy for the both of us, too. I cannot eat more than a couple of bites of it, and leave it as is. The adai and avial, again, are quite homely. They don’t have that ‘hotel taste’ to them; they feel like the adai and avial we would prepare at home. Everything – except the vada curry, that is – we taste that night at Sri Mangalambiga Vilas is homely, quite fresh, good but not exceptionally tasty. We head to Sri Mangalambiga Vilas again the next morning, for breakfast. We want to taste more of the tiffin offerings here. The husband opts for some pooris with saagu, while I choose a rava dosai. Again, service is very prompt and courteous. The poori-saagu has a homely feel to it, just like all the other food we had the last night. The saagu is not exceptional, but not bad either. The same is the case with my rava dosai, served with coconut chutney and sambar. Everything tastes very fresh. We get a couple of idlis for the bub, which have the same homely, non-hotel taste to them. We head back to our hotel room, sated, without the bloated stomachs and heaviness that often accompany meals outside of home. We would have paid a princely sum of INR 150 or so, in total, for both the meals we had here. As we walk back, the husband and I ponder over what exactly makes this small joint tick with the locals. Is it the fact that the establishment is over a 100 years old – is that in itself an attraction? Is it the very affordable prices at which food is available here? Is it the homely quality of the food here? Is it because generations after generations of Kumbakonam natives are used to eating here, so used to it that it has become an automatic habit? Is it the simplicity, the old-world charm of the place? Is it a combination of all of these factors? We are unable to decide. 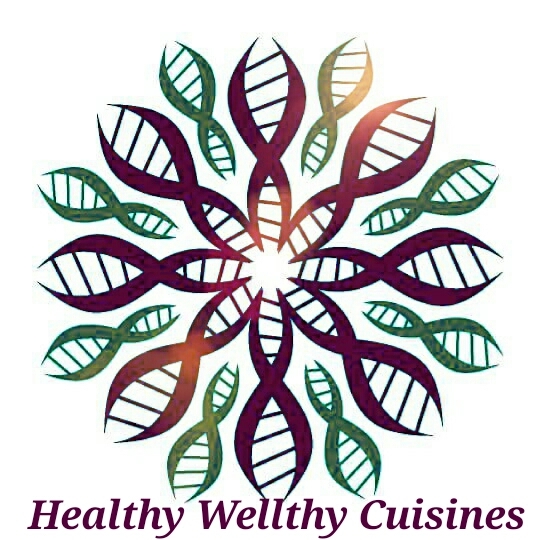 The flavour of the food certainly doesn’t seem to be the driving force, at least not to us. Whatever be the case, we can vouch for the fact that eating at Sri Mangalambiga Vilas is an experience in itself. Eating here makes you feel like you are back in the 1920s or so, stocking up on tiffin after paying your respects at the temple, before heading home. It is, certainly, an experience that we would like to savour again. Next time, maybe.. We haven’t had their menthiya dosai (fenugreek dosa) and full meals yet, after all. Have you read my other posts about Kumbakonam? Do check them out! The last, long weekend saw us in Kumbakonam, Tamilnadu, to honour certain long-standing religious commitments. And, while in Kumbakonam, how could we not stop and smell the coffee… er, the degree coffee.. and drink our fill of it, too? That is how this dream of mine got crossed off my bucket list, finally. What on earth is ‘degree coffee’? For the uninitiated, ‘degree coffee’ is just one of the things that the temple town of Kumbakonam is very famous for. What is interesting, though, is that there are no flashy signboards proclaiming the availability of the drink in hotels across town, nothing to make it a big tourist attraction. I mean, several hotels do have it on their menu, but it is quiet, understated, like a sort of guarded secret. The degree coffee we tasted at a few places in Kumbakonam looks and tastes just like the regular filter coffee that is commonly available across Tamilnadu. So, what is the difference between the two?, we asked. As per the service staff at most hotels we tried out, degree coffee is made almost the same way as regular filter coffee. The only difference between the two is that degree coffee is made with pure cow’s milk, while the filter coffee is made from ‘packet milk’ aka pasteurised milk. We did come across milkmen delivering milk to hotels and homes in huge cans, from their farms, so this theory makes sense. The milk we ordered in for the bub in our hotel room in Kumbakonam did seem to taste very pure, fresh and delish. And, yes, after a few samplings, we did realise how the degree coffee tastes much fresher and better than ordinary filter coffee. Why is ‘degree coffee’ called so? No one, in Kumbakonam or otherwise, really seems to know the story behind the name ‘degree coffee’. There are quite a few other interesting legends about the name, though. Some believe that this coffee was originally called ‘chicory coffee’, because chicory would be added to extract the full flavour from the coffee. Locals started calling it ‘tikeri coffee’, which, over time, changed to ‘degree coffee’. Another explanation is that ‘degree coffee’ is made only with milk whose purity has been checked using a lactometer – that the degree markings on the meter led to the name. Some people believe that ‘degree coffee’ is made using the first decoction from the filter – sometimes referred to as ‘first degree’. This is what gave the coffee its name. Some people believe that the coffee was originally called ‘decree coffee’, which later morphed into ‘degree coffee’. A certain 19th century British Collector of the Thanjavur District loved the coffee that was served to him by a local cook in Kumbakonam so much that he decreed that he should be served similar coffee on all his travels. Whatever be the story behind its name, degree coffee certainly is outstanding. We tried it out several times over, and it was always lovely, fresh and aromatic and refreshing. Everywhere, it is served in little brass davara-tumblers – those quintessential South Indian vehicle for coffee – that are beyond cute. There’s definitely something special about Kumbakonam’s degree coffee. I urge you to try out this coffee, if you haven’t ever. Hotel Venkatramana and Murali’s Cafe are believed to be the best places in Kumbakonam to have degree coffee, though a few other restaurants serve it, too. I hear there are a lot of ‘fake’ degree coffee joints dotting highways in Tamilnadu and several in Madras, too. I cannot claim to tell you about the authenticity (or not) of these places. If you are interested in authentic degree coffee, your best bet would be to head to Kumbakonam and try it out in the little eateries in town.